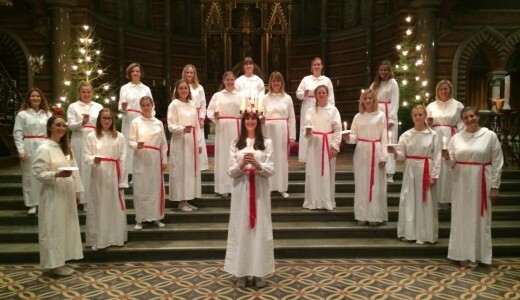 Carolinae Damkör önskar er en stämningsfull Lucia med denna lilla film som skapats av Lunds Universitet. Den finns i två versioner, en på svenska och en på engelska. I don’t know who will read this message, but I try anyway ! I’ve met a part of you in the Grand Hotel on the 3rd of december. I remember very weel the faces, but not the names (exept Isabelle, Emma and, I think also Anna…). I will keep in my memory this wonderful moment I’ve spent with you. Just like Ulysse with the mermaids, I couldn’t leave the place…. So many thanks for this great moment ! I’m really found of what you’re doing ! Come in France to share that with us ! Maybe see you next time in Lund !